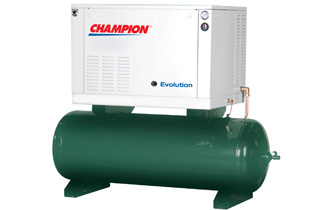 Find the lowest prices here on Champion Air Compressors. Vertical and horizontal tank design, 80-120 gallon. Need air compressor repair? Viking services all major air compressor makes and models. Place a service request now. Viking is Connecticut’s Automotive Air Compressor Expert. Air compressors keep automotive shops running. Different automotive tools all depend on the air supply to get the job done. 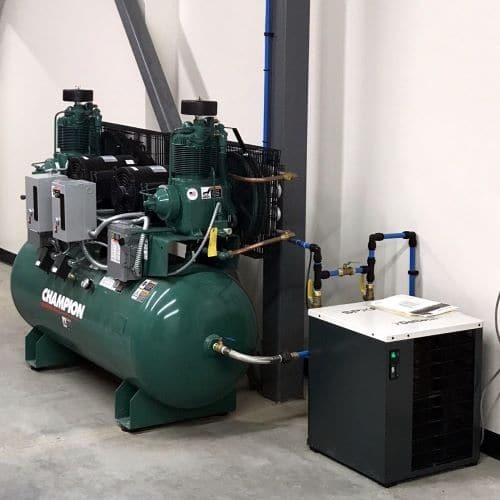 Whether you’re shopping for a commercial grade air compressor, want to design a full air line system for your shop, or need air compressor service, Viking Equipment is here to help. Air compressor add-ons including driers, drains and mag starters are also available. 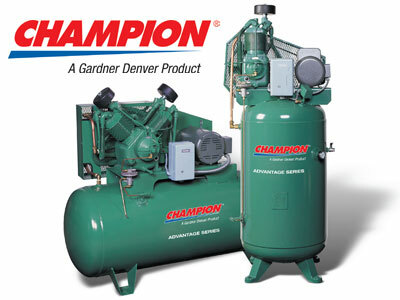 Find the best prices on Champion Air Compressors. Viking can handle the entire air line system installation for your shop. 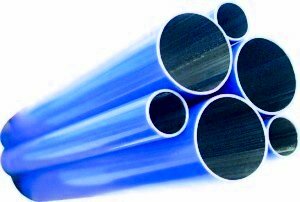 Viking uses aluminum tubing to prevent corrosion and will recommend a refrigerated dryer for the air supply. Champion Reciprocating Compressors are the most durable and cost effective solution for most shops. Viking carries the full line of Champion reciprocating compressors including Value Plus, Centurian, R series, PL series, and Advantage series compressors. These Champion Air Compressors can be upgraded with options including vibration isolators, mag starters, air-cooled after coolers, low oil shut-off, automatic tank drains and more. Viking has the lowest prices. Purchase the Champion 5V60E, 5hp, Two-Stage Air Compressor starting at $1,795. 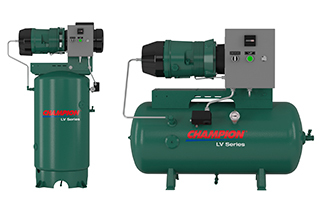 Champion Duplex Compressors include two motors and two pumps on a single tank. They operate one compressor at a time alternating automatically, or when required, use the two motors and pumps together to provide double the air delivered on a single unit. You get the energy savings of running a smaller motor most of the time but still have maximum air availability when you need it. Duplex compressors are available in horsepower configurations from 2 x 5hp to 2 x 30hp. Voltages Available: 208, 230 and 460v. Champion Evolution Compressors provide the advantages of a reciprocating compressor coupled with less noise and vibration. Runs as quietly as pricier models. Loaded with rugged features, Evolution series compressors deliver high performance and long, trouble-free service at maximum operating efficiency. Champion Hydrovane Compressors are comparably quiet to more expensive compressors and have the added benefit of being extremely durable and economical to maintain. These compressors are available mounted on horizontal or vertical tanks and can be simplex or duplex configurations. Champion Rotary Screw compressors are state-of-the-art for quiet air. Largest volume and highest pressure air delivery, especially suited to factory applications. Viking Equipment can supply and install the correct size piping for your air system. 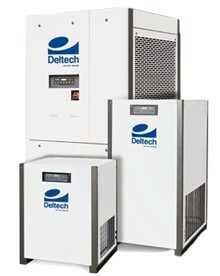 Refrigerated dryers help eliminate the moisture from compressed air. It is important to dry the air to protect the shop’s tools from corrosion. Viking will provide the correct dryer for your air system, and will install and service the unit. Viking Equipment will match a dryer to your compressor.